Hemoabdomen is the presence of free blood in the peritoneal cavity. This is a frequent emergency in small animal medicine for dogs and cats. These patients present with varying histories and clinical signs of varying severity. The causes of hemoabdomen are broadly divided into traumatic and nontraumatic causes. The prognosis for this condition is based on the underlying cause. The most common cause of canine nontraumatic hemoabdomen is the rupture of an intra-abdominal mass. These masses are often due to a neoplasia of splenic, hepatic, adrenal, renal or gastrointestinal origin. In a 2003 retrospective study, 80% of the cases of canine nontraumatic hemoabdomen were due to a malignant neoplasia.1 In a 2013 study, 87% of nontraumatic hemoabdomens were due to neoplastic masses; 76% of these masses were hemangiosarcoma.2 In several studies, it has been found that neoplastic splenic masses had a greater association with the occurrence of hemoabdomen than non-neoplastic masses, such as hematomas.3-5 Splenic hemangiosarcoma also had a greater association with hemoabdomen than other malignant splenic masses. Another cause of nontraumatic hemoabdomen is coagulation defects, such as is caused by the ingestion of anticoagulant rodenticide. Abdominal organ torsion, such as gastric dilatation-volvulus and splenic and liver lobe torsions have also been documented to cause hemoabdomen. Dogs presenting for nontraumatic hemoabdomen have a median age of 10 years. Large breeds have a greater incidence, particularly Golden Retrievers, German Shepherds and Labrador Retrievers. Many of the dogs present with a history of acute collapse. Additional history may include lethargy and weakness, abdominal distension, anorexia and vomiting. Some of these patients may present with a concern for dyspnea, which may be due to decreased tidal volume from abdominal distension. Elevated respiratory rate and effort can also be due to hypovolemic shock, anemia and pain. On initial triage, many of these patients will be in hypovolemic/ hemorrhagic shock. The signs of early, compensated shock are mitigated by baroreceptor-mediated compensation that works to preserve intravascular volume and blood pressure, allowing continued oxygen support to vital organs, such as the heart, brains, kidneys and lungs. These patients may be mildly tachycardic with normal/ increased blood pressure, injected mucous membranes, rapid capillary refill time and bounding pulses. The signs of early compensated shock can often be missed or may be misinterpreted for excitement. Patients with more significant blood loss will present with signs of early decompensated shock. These patients have lost a volume blood that can no longer be adequately compensated for by baroreceptor reflexes. These patients will present with significant tachycardia, hypotension, pale mucous membranes, prolonged capillary refill time, hypothermia and decreased pulse pressure. These patients may have mild mental depression due to brain hypoperfusion and hypoxia. If a patient has suffered a large blood loss or has been unable to receive prompt medical attention and stabilization, they can progress to late decompensated shock. In this stage of shock, the body’s compensatory mechanisms cannot support oxygen delivery to the vital organs, resulting in organ failure. These patients may not be able to respond to fluid resuscitation due to the severe extent of cellular damage and death. Unfortunately, many of these patients may be in terminal shock and unable to be saved. Signs of late decompensated shock include bradycardia, hypotension, pale or cyanotic mucous membranes, absent capillary refill time, hypothermia and stupor. Initial physical exam of a canine hemoabdomen patient may demonstrate abdominal distension with a palpable fluid wave. It requires greater than 40 mL/kg of free abdominal fluid for a fluid wave to be palpated. In some patients, an abdominal mass may be palpated, or tympany may be appreciated in the case of GDV. Upon auscultation, an arrhythmia may be detected. Due to the critical nature of these patients, the steps to diagnose hemoabdomen must be performed concurrently with efforts to stabilize the patient. Abdominocentesis is often the first diagnostic step in diagnosing hemoabdomen. The patient is placed in lateral recumbency, and the ventral abdomen clipped. The abdomen should then be cleaned with sterile scrub technique. Wearing sterile gloves and using 22-gauge needles, a 4-quadrant tap should be performed centered around the umbilicus. Gentle aspiration with a 3 cc syringe can be used to withdraw a fluid sample. Alternately, abdominocentesis can be performed using ultrasound guidance. A sample of non-clotting blood is diagnostic for a hemoabdomen. A packed cell volume (PCV) and total solids (TS) should be performed on the sample. A PCV greater than 10% is concerning for hemoabdomen. A sample of the fluid should also be examined under a microscope for evidence of neoplastic cells or bacteria. If any concerns, a sample should be submitted for analysis by a clinical pathologist and culture should be performed. A PCV/TS should be performed on a peripheral blood sample to assess the patient for anemia. Many of these patients will have a decreased PCV and TS due to blood loss. Despite abdominal bleeding, some of these patients may have a normal or slightly increased PCV due to splenic contraction which can increase the red blood cell circulating volume by 10-20%. In this situation, the TS will be low as splenic contraction does not significantly increase the blood protein level. The patient’s ability to clot should be evaluated by performing a prothrombin time (PT) and activated partial thromboplastin time (PTT). These tests evaluate secondary hemostasis due clotting factors which are produced by the liver. Patients who are bleeding due to anticoagulant rodenticide ingestion will first show elevations in the PT as it evaluates clotting factor VII, which has the shortest half-life and is the first to be depleted. With anticoagulant rodenticide, the PT and PTT will both become prolonged out of range. Many hemoabdomen patients will have normal or mildly prolonged PT and PTT (> 30%) due to consumption and loss of clotting factors in the hemorrhage. A lactate level should be evaluated to assess the patient’s perfusion. Lactate is the byproduct of anaerobic metabolism which occurs to allow cellular energy production to continue during states of hypoperfusion and hypoxia. This state can be created in hemoabdomen patients due hypovolemia and anemia. Hyperlactatemia is a lactate > 2.5 mmol/L and lactic acidosis is a lactate > 5 mmol/L accompanied by a blood pH < 7.35. Blood lactate levels can be serially measured to evaluate response to fluid resuscitation and supportive care. As the hypoperfusion and hypoxia are corrected, elevated lactate levels should improve/resolve. Full blood work including a complete blood count (CBC) and chemistry panel should be performed. On the CBC, anemia and thrombocytopenia are often noted. Due to platelet loss and consumption, the platelet count can be decreased as low as 40,000. On the chemistry panel, hypoalbuminemia and hypoglobulinemia are often noted due to blood loss. If azotemia is noted, a urine specific gravity should be obtained to assess for renal versus pre-renal causes. Treatment of nontraumatic hemoabdomen includes fluid resuscitation as well as supportive care. Initially a patient should be provided with low-stress oxygen support in the form of flow-by oxygen, nasal cannula or an oxygen cage. A short, large diameter IV catheter should be placed to allow rapid fluid administration. More than one IV catheter should be placed due to the potential need for a blood product administration and surgery. Current evidence suggests that these patients may benefit from avoiding large volume resuscitation.6 It has been found that large volumes of IV fluids to resuscitate may potentiate hemorrhage by diluting out clotting factors and rapidly elevating blood pressure which may disrupt clot formation. Large volumes of fluids can also take time to administer and delay resuscitation. Limited fluid volume resuscitation uses small volumes of balanced crystalloids (10-20 mL/kg) as well as hypertonic saline (3-5 mL/kg) and synthetic colloids (5 mL/kg). 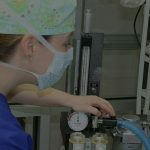 These fluids are administered in titrated boluses to reach low normal resuscitation endpoints: systolic blood pressure 90 mmHg, mean blood pressure 60 mmHg and improved physical exam perfusion parameters. At this level of resuscitation, blood flow to the vital organs will be maintained but ideally, will not cause worsening bleeding. These patients may also achieve hemodynamic stabilization faster than those receiving large volumes of fluids. Many of these patients will require administration of blood products to correct anemia and coagulation defects. In situations where red blood cell products are not available, autotransfusion can be considered to provide red blood cell support.7 Blood from the abdominal cavity can be collected aseptically and administered IV using a blood transfusion set or in-line filter. This technique should be avoided in cases of septic abdomen. In the case of a ruptured abdominal mass, autotransfusion may allow dissemination of neoplastic cells. In cases of hemoabdomen due to ruptured masses, abdominal exploratory surgery is needed to obtain hemostasis via removal of the bleeding mass. Additional biopsies should be obtained as indicated. For clinicians it is important to provide owners with preoperative advice to make the best decision for their pet and family including perioperative and long-term prognosis. Long term prognosis is based on the cause of the bleeding. With bleeding masses, there is not time to obtain a biopsy for the owner to know for sure if a mass is cancer or not. Many times, going forward with surgery needs to be a leap of faith, hope for the best but expect the worst. The presence of hemoabdomen has a greater association with malignancy than benign masses (30% splenic hematoma vs. 76% splenic hemangiosarcoma;3 20% benign vs. 80% hemangiosarcoma4 ). The size of splenic mass has been found to correlate with cause, with larger mass being more likely to be benign than malignant4. In one study on splenic hemangiosarcoma, a low admit TS (<5.8) and thrombocytopenia (<90,000) had a higher association with hemangiosarcoma.8 Following surgery, a recent study has shown a perioperative death rate of 7.6% for patients undergoing splenectomy for a splenic mass.5 The risk of death was increased for patients with thrombocytopenia, anemia and those who developed an intraoperative arrhythmia. In this study 57% of the masses were malignant, and 76% of the malignant masses were hemangiosarcoma. In a study on nontraumatic hemoabdomens, there was a 16% perioperative death rate.2 Negative prognostic indicators included tachycardia, pleural effusion, requirement of massive blood transfusions and postoperative respiratory distress. In this study 87% of the masses were malignant, and 76% of the malignant masses were hemangiosarcoma. Pintar, J et al. Acute nontraumatic hemoabdomen in the dog: A retrospective analysis of 39 cases (1987-2001). J Am Anim Hosp Assoc 2003; 39: 518-522. Lux, Cassie N et al. Perioperative outcome in dogs with hemoperitoneum: 83 cases (2005- 2010). J Am Vet Med Assoc 2013; 242: 1385-1391. Prymak, C et al. Epidemiologic, clinical, pathological and prognostic characteristics of splenic hemangiosarcoma and splenic hematoma in dogs: 217 cases. J Am Vet Med Assoc 1998; 193 (6): 706-712. Mallinckrodt,M et al. Mass-to-splenic volume ratio and splenic weight as a percentage of body weight in dogs with malignant and benign splenic masses: 65 cases (2007-2008). J Am Vet Med Assoc 2011; 239:1325-1327. Wendelburg, K et al. Risk factors for perioperative death in dogs undergoing splenectomy for splenic masses: 539 cases (2001-2012). J Am Vet Med Assoc 2014; 245: 1382-1390. Hammond, T et al. 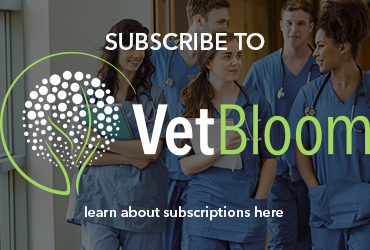 A pilot comparison of limited versus large fluid resuscitation in canine spontaneous hemoperitoneum. J Am Anim Hosp Assoc 2014; 50(3): 159-66. Hirst, C et al. Autologous blood transfusion following red blood cell salvage for the management of blood loss in 3 dogs with hemoperitoneum. J Vet Emerg Crit Care 2012; 22(3): 355-360. Hammond, T and Pesillo-crosby, S. Prevalence of hemangiosarcome in anemic dogs with a splenic mass and hemoperitoneum requiring a transfusion: 71 cases (2003-2005). J Am Vet Med Assoc 2008; 232: 553-558. Boysen, SR et al. Evaluation of a focused assessment with sonography for trauma protocol to detect free abdominal fluid in dogs involved in motor vehicle accidents. J Am Vet Med Assoc 2004; 225(8): 1198-1204. Linklater, A and Higgs, V. Treatment of acute hemoabdomen. Clinician’s Brief, 2013. Simpson, S et al. Severe blunt trauma in dogs: 235 cases (1997-2003). J Vet Emerg Crit Care 2009; 19(6): 588-602. Dr. Sarah Allen received her DVM from Tufts University School of Veterinary Medicine in 2003 and completed a rotating small animal internship at VCA-South Shore Animal Hospital in Weymouth, Ma in 2004. Dr. Allen then completed a three year residency at Angell Animal Medical Center in 2007, and became board certified in Emergency and Critical Care. 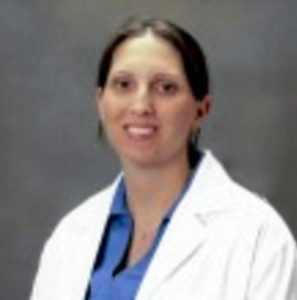 She joined InTown Veterinary Group in 2007.